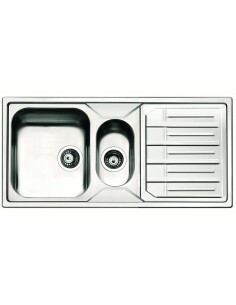 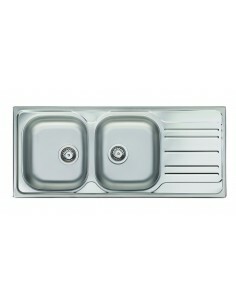 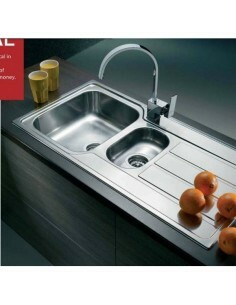 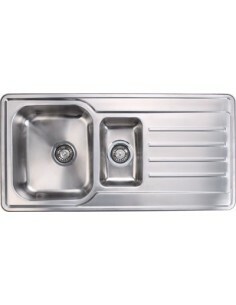 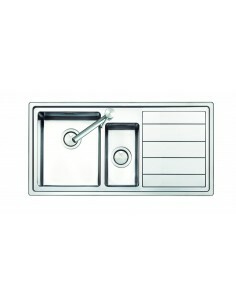 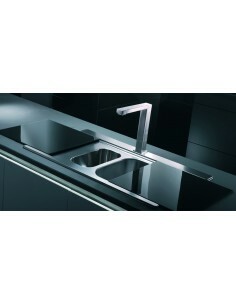 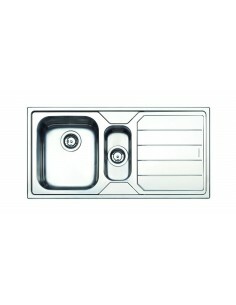 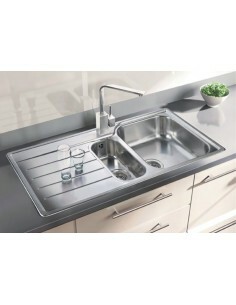 1000 x 500mm, Clearwater Mistral 1.5 Bowl & Drainer Polished Steel Kitchen Sink. 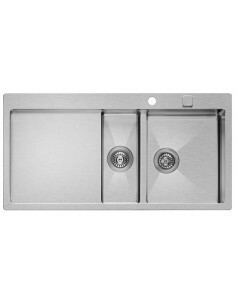 Topmount Fit. 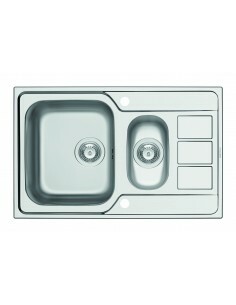 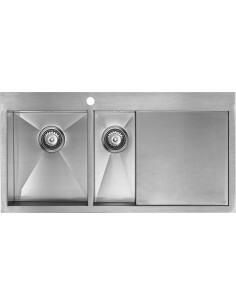 790 x 500mm, Clearwater Mistral 1.5 Bowl & Drainer Polished Steel Kitchen Sink. 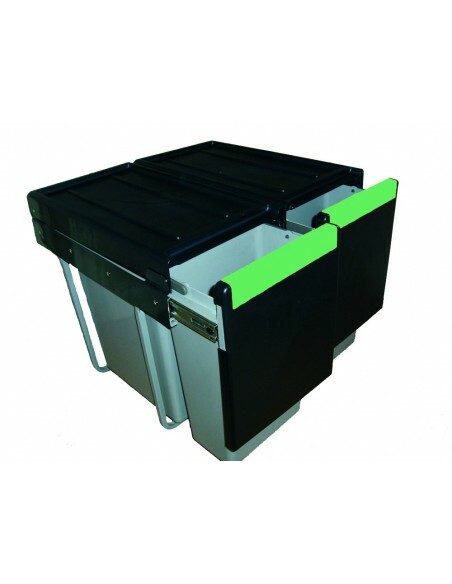 Topmount Fit. 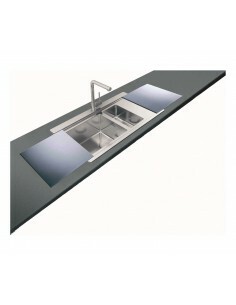 860 x 500mm, Maggio 1.0 Bowl, Includes 90mm Strainer Waste Kit. 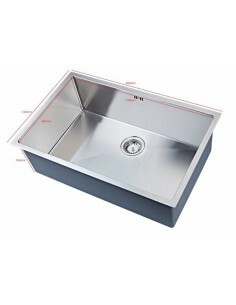 860 x 500mm, Corrida 1.0 Bowl, Includes 90mm Strainer Waste Kit. 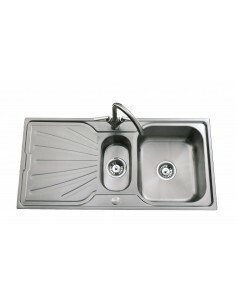 1000 x 500mm, Corrida 1.5 Bowl, Includes 90mm Strainer Waste Kit. 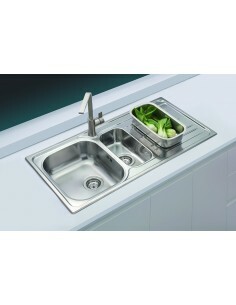 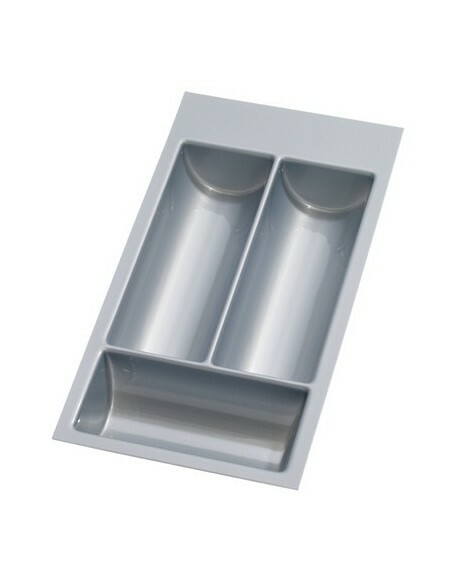 1160 x 500mm, Corrida 2.0 Bowl, Includes 90mm Strainer Waste Kit.